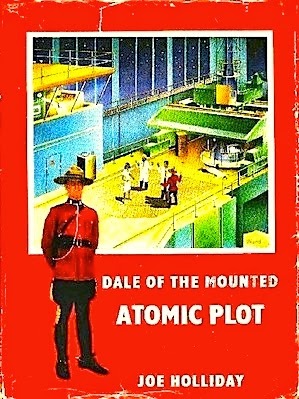 First off, I should make it clear that the book I really wanted to read is Dale of the Mounted: Atomic Plot. Published in 1959, it involves a Pakistani scientist, East Indian religious fanatics and a terrorist attack on Canada's Chalk River nuclear research facility. 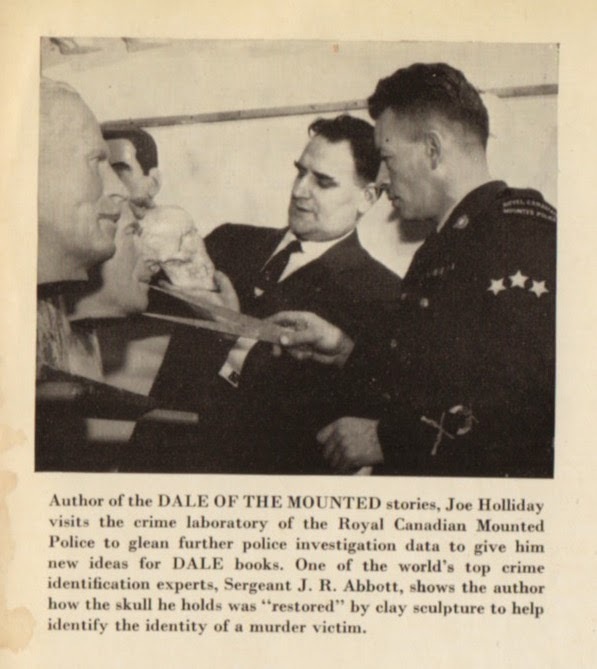 I read Dale of the Mounted: Atlantic Assignment only because it turned up in our local library's most recent used book sale. That I haven't come across any others says something about the passage of time, I think. Dale of the Mounted books were once very popular, each landing in early November so as to take advantage of Christmas gift giving. Having been born the year the series ended, I never received one myself, but I remember a friend's older brother having a few. Dale of the Mounted is Constable Dale Thompson. 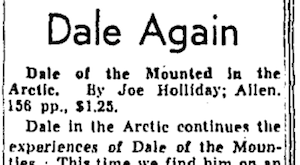 His "Atlantic Assignment" follows Dale of the Mounted in Newfoundland as the sixth adventure in six years. 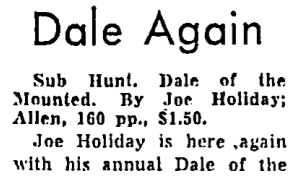 As in the previous book, Dale sets aside his Red Serge to adopt the guise of a journalist. Where in Newfoundland he was on the trail of Portuguese smugglers, here Dale investigates suspicious incidents that have taken place on HMCS Pegasus, Canada's newest aircraft carrier. 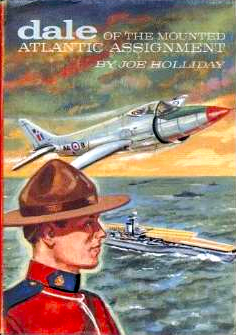 Was there really a time in which it fell to the RCMP to investigate possible crimes of sabotage aboard Royal Canadian Navy ships? If so, would that task have been entrusted to a constable? And why is Dale a constable, anyway? After all he accomplished in the previous books, isn't a promotion long overdue? 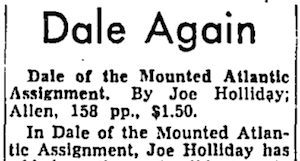 These were the first questions raised in reading Dale of the Mounted: Atlantic Assignment. Though not answered, by the end of the first chapter they'd been supplanted by another that I simply could not shake: How is it that Dale is still alive? 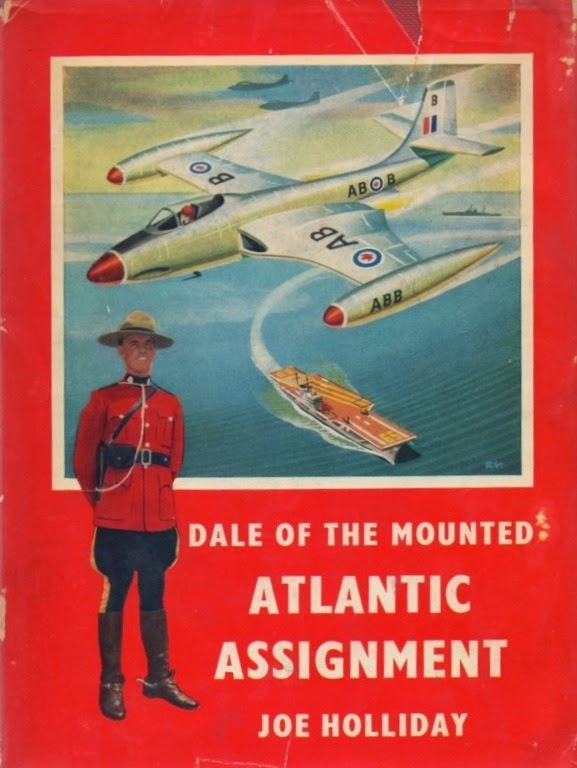 If Dale of the Mounted: Atlantic Assignment is anything to go by, the constable should've died in the series' first book. His end might have come at the hands of a foe or while cleaning his gun, but he would be dead. Dale never gets a chance to investigate past incidents. He's newly arrived on the aircraft carrier when a mysterious fire breaks out, destroying two planes. The challenge in describing what comes next involves time; Holliday is never terribly clear as to just when events take place in this novel. His narrative is lost in irrelevant facts and figures. These aren't presented as red herrings, rather they serve to pad. Dale learns all about sonobuoys, the Habbakuk Project, Pratt & Whitney Wright Cyclone engines, and a navigation and interception computer invented by an RCAF Wing Commander. One of the novel's 158 pages is devoted to the ins and outs of automobile ownership in Bermuda. When the young Mountie said how impressed he was with the part that aircraft carriers played in the war games Captain Grayson smiled. He liked anyone who thought that carriers were the finest things afloat. "I've a hunch that DeMarco can't plant any kind of time bomb unless he has plenty of time to do it. Unless I'm badly mistaken, the movies tonight will give him that big chance. Let us attend the movies. I'll keep within sight of DeMarco. I'll watch every move he makes. If he leaves the flight deck I'll follow him." DeMarco does leave the deck. Dale follows but is knocked out cold (for the second of three times). The next morning, the mechanic manages a flight off the carrier, resulting in the loss of yet another plane. As it turns out, DeMarco is one of two fifth columnists. 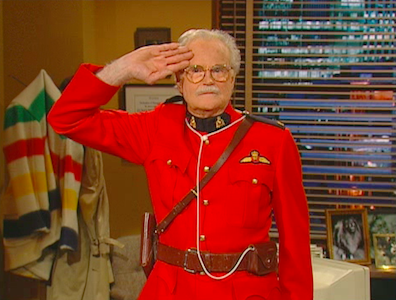 The Mountie doesn't get either man. What happens is that the first saboteur kills the second, then plunges to his death in a kamikaze-like attack on the Pegasus. It's only through a bizarre accident that the carrier is saved. The attacks were the work of a Balkan "dictator country" – though why it targeted the Pegasus is anyone's guess. The promised adventure, Dale of the Mounted: DEW Line Duty, arrived in stores the following November. Five more adventures followed. 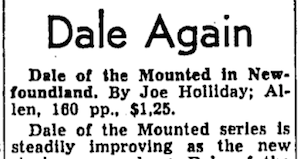 The series ended in 1962 with Dale of the Mounted in Hong Kong, in which Dale is finally killed. Okay, I don't know for a fact that he dies – but, really, dumb luck can only last so long. Object: A 158-page hardcover in burgundy boards with dark blue type. 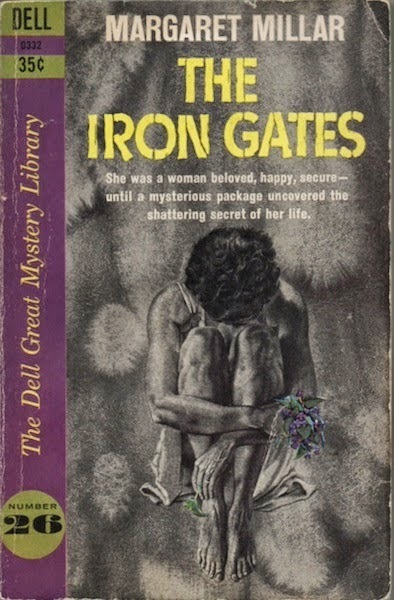 The dust jacket illustration is by Bob Turnbull. My copy was once presented as a Christmas gift. I've not been able to identify Wayne or Alan. Access: Sixteen of our university libraries have copies, as do the Toronto Public Library and Library and Archives Canada. 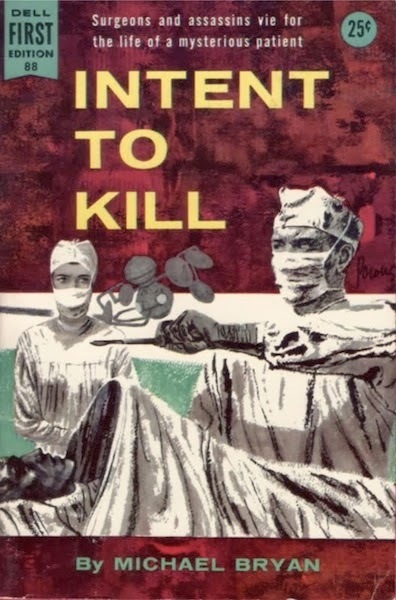 An American edition, published in 1959 by Pennington Press of Cleveland, Ohio, features a whole mess of illustrations by a man named Bill Humrickhouse. Canadian children had to use their imaginations. Both the Thomas Allen and Pennington editions can be found online at prices ranging from US$3.50 to US$26.25. The Vermont bookseller trying to get $65.00 for her "Very Good" copy in "Good" jacket is ignored. Update: I'm reminded by Ralph Mackay of Chumley & Pepys On Books that comedian Dave Broadfoot's Sgt Renfew of the Mounted was forever being knocked out. 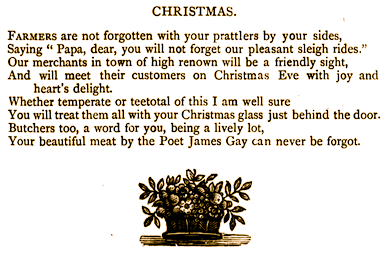 His catchphrase: "When I regained consciousness…"
For the day, Victorian verse from Canada's Poet by James Gay, self-proclaimed Master of All Poets and Poet Laureate of Canada, of the Royal City of Guelph, Ontario. 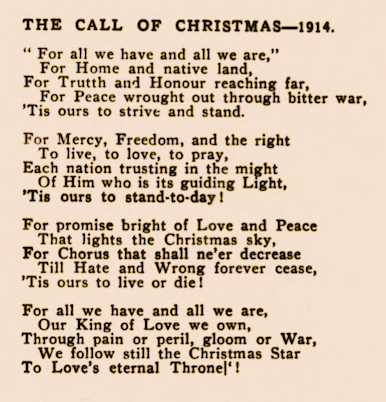 The title poem from Agnes Maule Machar's "The Call of Christmas – 1914". 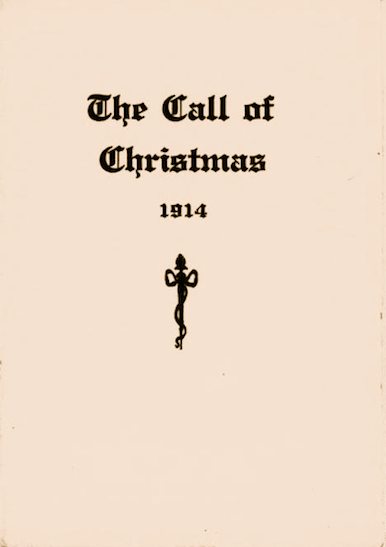 What can be said about this scarce chapbook? Who published it? When? Where? 'Tis a true Christmas miracle. No living creature from the aquarium was killed in the making of this book. I'm willing to bet on it. 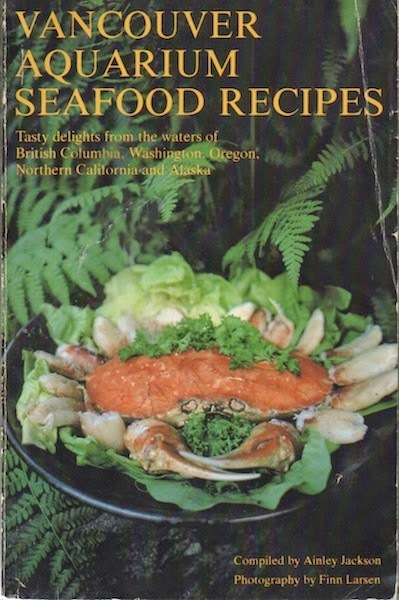 Vancouver Aquarium Seafood Recipes was a fundraiser; its contributors – 79 by my count – were members and supporters. 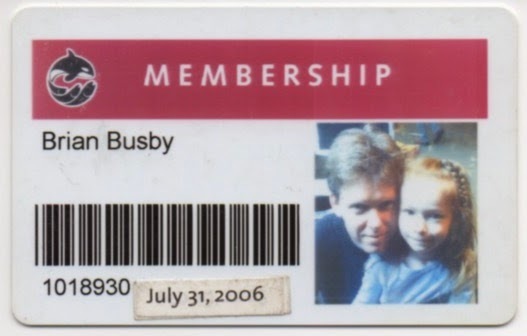 I was once a member myself, and for a time lived within walking distance. Vancouver is a great city for seafood. One gets a sense in this book, but not more than that. It's a product of the 'seventies, meaning that spices are few, herbs are unheard of, and pretty much everything comes in cans. This last isn't such a bad thing. We now live over 3200 kilometres east of Vancouver, and roughly 1400 kilometres from the nearest ocean. It's a good 45 minutes drive to the nearest seafood store. So, yeah, cans are fine. 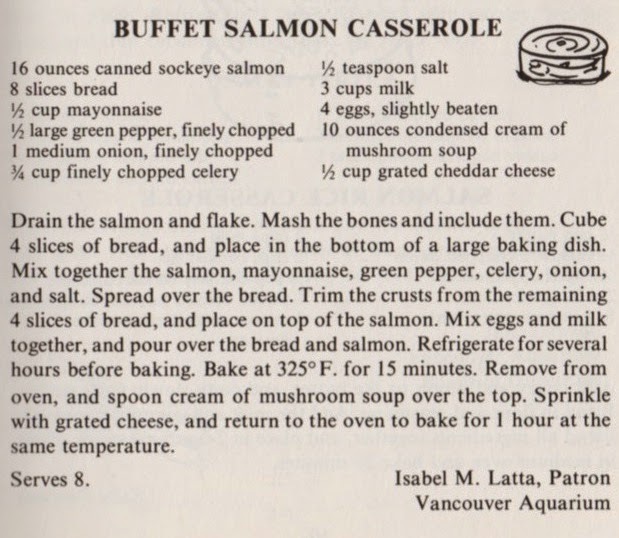 The first dish tackled was patron Isabel M. Latta's "Buffet Salmon Casserole". I wanted to make it just as Ms Latta had, so resisted all temptation to add ingredients. Anyone looking to follow my lead might consider adding a dram or two of milk to the condensed cream of mushroom soup, cutting back a bit on the bread, and, oh… pepper. 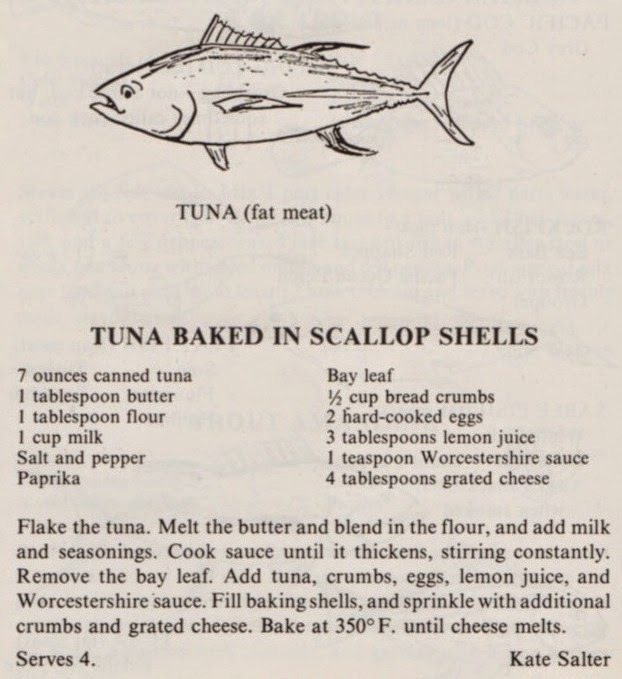 Kate Salter's "Tuna Baked in Scallop Shells" was even better. Again, I'd cut down a bit on the bread. Though neither was anything like what mother used to make, I recognize both dishes as comfort food. Just the thing as we head into the holidays. The one quibble I have with this fundraiser is that all measurements are imperial. This made shopping for cans a chore. I mean, really, in 1977 metric wasn't coming to Canada – it had arrived. As for fresh seafood? For my family, in the 'seventies it wasn't even on the horizon. 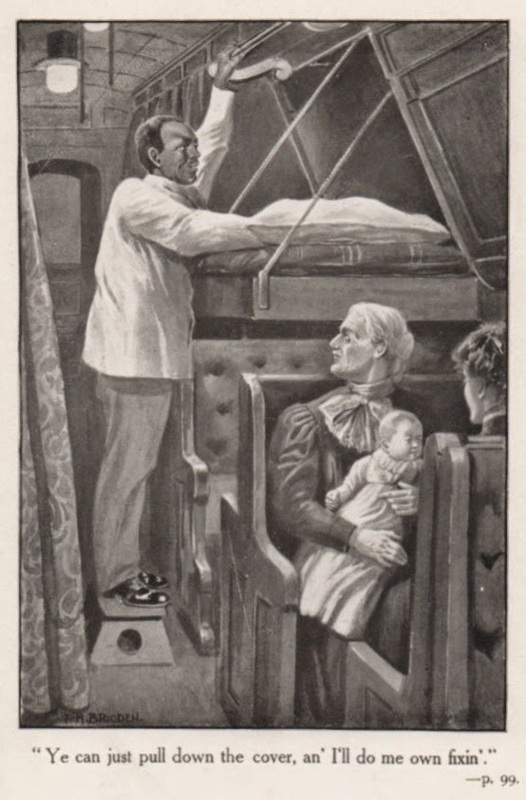 Trivia: Ainley Jackson not only put the whole thing together, but contributed over one hundred illustrations. Object: A 112-page trade-size paperback printed on glossy paper with binding fairly designed to come apart. I purchased my copy for 75¢ at the Salvation Army Thrift Store in Stratford, Ontario. Access: As of this writing, nine copies are on offer from online booksellers. Prices range from one to five American dollars. Library and Archives Canada and the Toronto Public Library have copies, as do four of our university libraries. 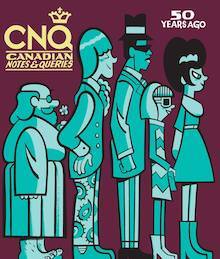 Vancouverites will have to make do with a single reference copy housed in the stacks of the Central Branch. 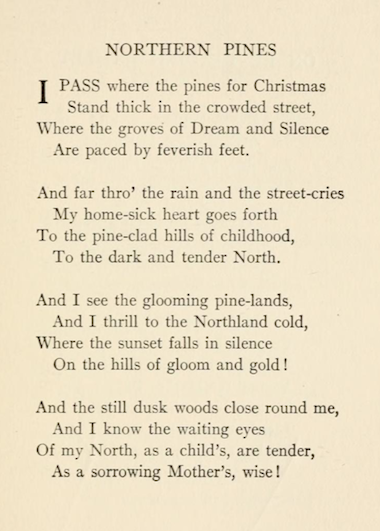 Seasonal verse found in Arthur Stringer's The Woman in the Rain and Other Poems (Boston: Little, Brown, 1907). 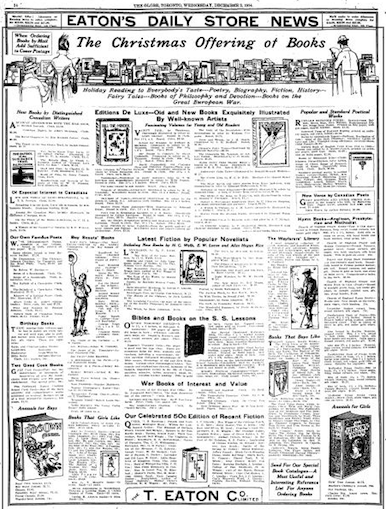 The writer was then living in New York with wife Jobyna Howland, 650 kilometres southeast of the London, Ontario, of his youth. No apologies for the pun. It's brilliant. 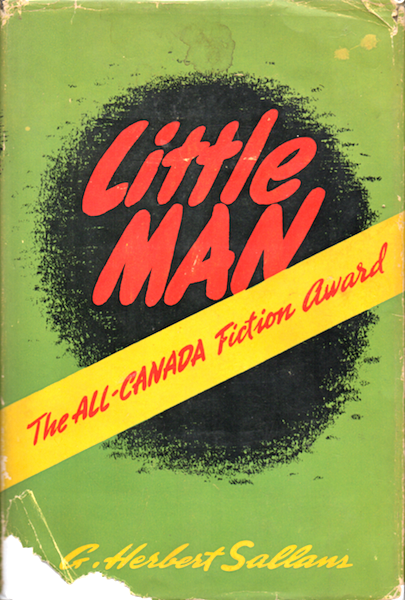 Robert Henry Mainer served one term as President of the Canadian Authors Association and was at least twice mentioned alongside L.M. Montgomery as a writer of promise. 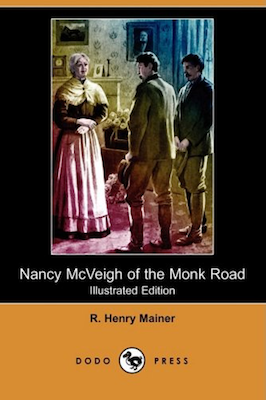 Nancy McVeigh of the Monk Road is his only book. At 127 pages, I consider it more novella than novel, all the while wondering just how much of it is fiction. The book's dedication not only implies that Nancy McVeigh was a real person, but that the stories featured actually happened. If true, it might explain why Nancy McVeigh of the Monk Road is so uneventful. When first we meet the title character, a widowed Irish-Canadian tavern owner, she has begun proving herself an unlikely pillar of her nameless community. The pages that follow see Nancy McVeigh pay a patron's hospital bills, visit a dying man, nurse an injured man and play cupid. In one of the chapters she travels to Chicago in the hopes of seeing her only child, a successful businessman. He's visiting Mexico. She returns home. 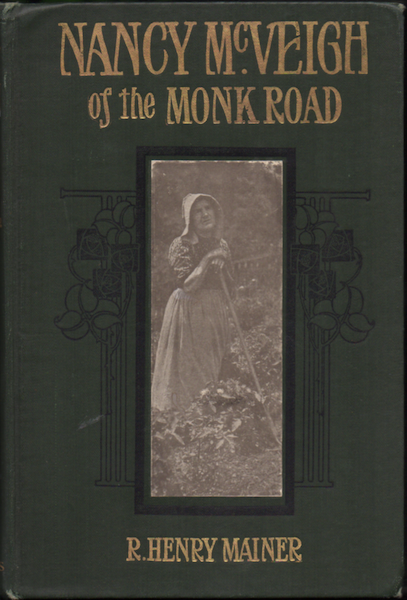 Nancy McVeigh of the Monk Road is a banal little book; were it not for its title I might never have picked it up. You see, Nancy McVeigh's story is meant to begin during the "régime of Governor Monk". Her tavern is located on a military road named for the man. But we never had a Governor Monk. Victoria's representative was Charles Stanley Monck, 4th Viscount Monck. The military road "cut through the virgin pine" described in Nancy McVeigh of the Monk Road is the Monck Road. Though the 1852 census of Upper Canada contains no record of a Nancy McVeigh, an anonymous Globe review (19 December 1909) suggests that she did exist – "her hostelry seems to have been on the shores of Lake Simcoe". An earlier Mail (7 January 1884) contains reference to a meeting that took place at "Nancy McVeigh's" somewhere in or around the Muskokas. That I don't much care either way probably says something. I like to think Nancy McVeigh existed. If Mainer's stories are true, she would've been a generous soul. It seems a shame that her trip to Chicago was for naught. 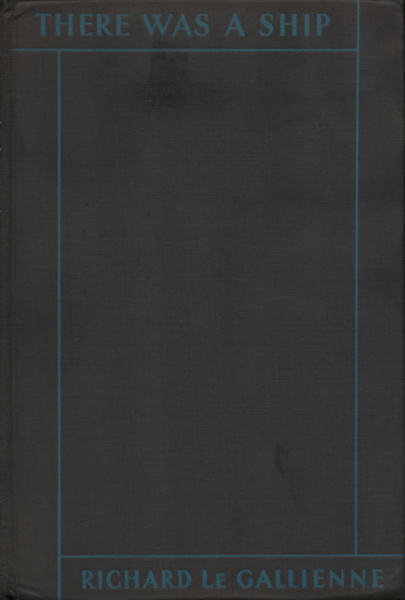 Object: A slim hardcover featuring three plates by F.H. Brigden. I bought my copy early this year at Attic Books. Price: $10. It once belonged to Mrs G. Grant of Prescott, Ontario. Access: An uncommon book, the only copy currently listed online is offered by a Yankee bookseller who asks US$29.75. I saw a very nice copy going for C$20 during my last trip to London. Print on demand vultures have moved in on this one, though I doubt their efforts have proved lucrative. 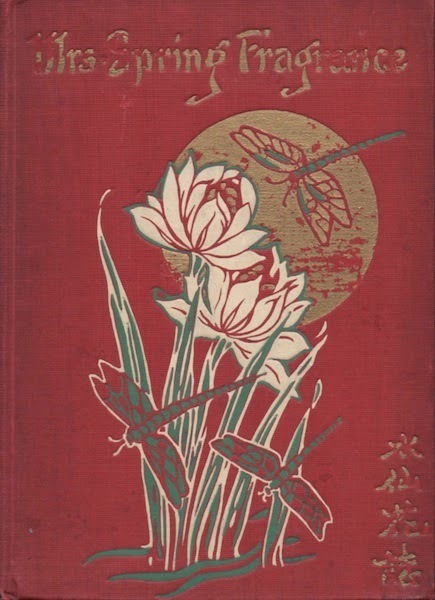 The most attractive edition, from Dodo Press, stains Brigden's work pink, yellow and blue. 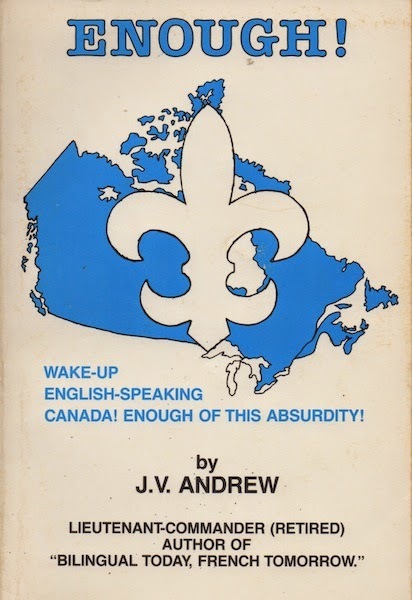 I count twenty copies held in Canadian libraries. The Leacock and Packard are recommended. I've not read the rest. Brian Moore's sixth pulp, the third to be set in Montreal, proved riveting. It's a shame that these early titles have been kept out of print, but you have to admire the writer's estate for honouring his wishes. That The Iron Gates ranks as one of the year's best should come as no surprise – two years ago Millar took all three spots. "Arguably the most talented English-Canadian woman writer of her generation," I wrote in the Canadian Encyclopedia. Before finding Fasting Friar, I'd never thought much about McCourt – he once won Ryerson's All-Canada Prize, right? – but its subject, censorship, did attract. A flawed yet interesting novel featuring what may be the most reluctant protagonist I've ever met. 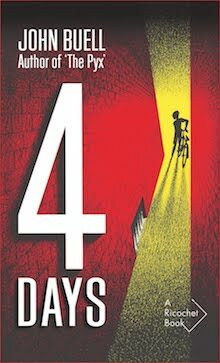 Given this year's slim pickings, I may as well mention the also rans: Grant Allen's The Devil's Die. and A Lot to Make Up For by the late John Buell. Used copies of the five are easily found for sale online. 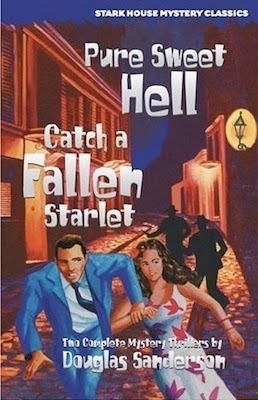 The first, Douglas Sanderson's Pure Sweet Hell (1957), is paired with Catch a Fallen Starlet (1960) in an edition available from Stark House Press. Both favourites, I rank them just beneath Hot Freeze and The Darker Traffic, the first two Mike Garfin novels, as the best things the man ever wrote. 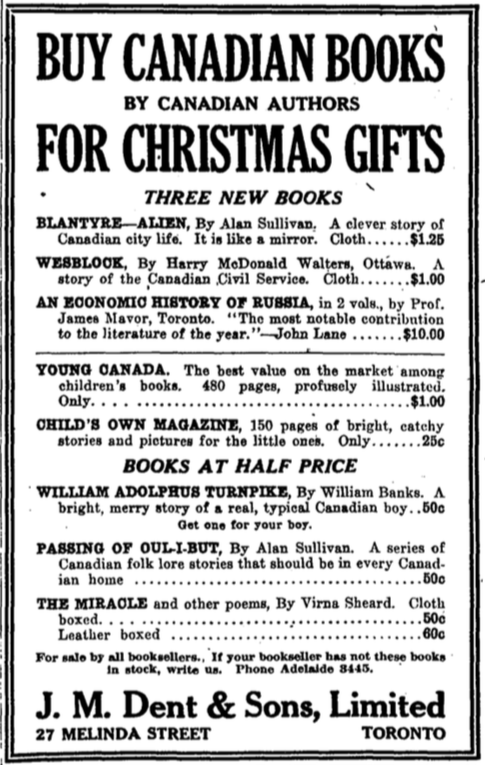 Stark House has no Canadian distributor, but books can be bought through the Stark House Press website. 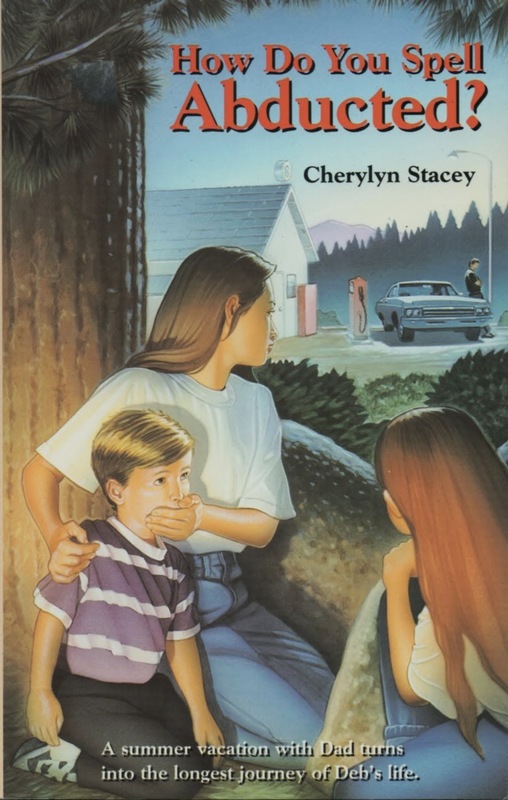 I'm not so enthusiastic about Cherylyn Stacey's How Do You Spell Abducted? (1996), a slight, slim YA novel about an estranged father who runs off to the States with his three children. Michael Coren had a field day with this one, misrepresenting the book in the Financial Post and Books in Canada. Politician Julius Yankowsky (MLA, Edmonton Beverly-Belmont) got so riled up that he called for the thing to be banned. Buy it, if only to stick it to both men. 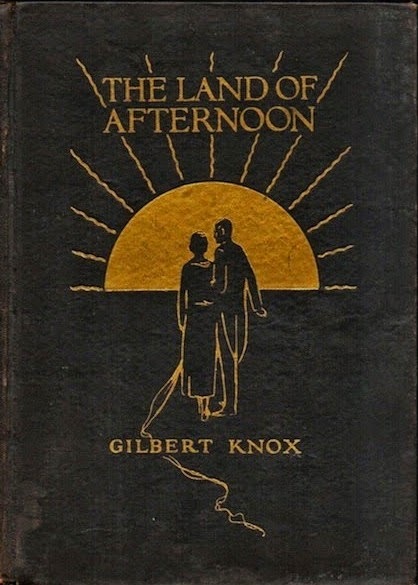 This 1929 novel of the Great War – by a veteran of the Great War – was praised by Ford Madox Ford, Bertrand Russell, Frank Harris and Robert Borden. This new edition, the first in over eight decades, features an Introduction by myself and James Calhoun. 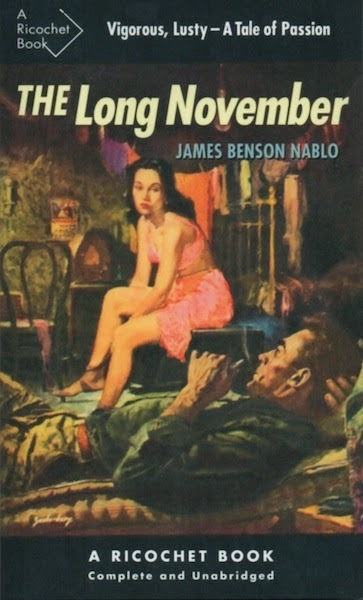 Featured on my 2010 list of books deserving a return to print, this 1946 novel received a good amount of attention in its day. Subsequent neglect can be explained – but only in part – by the author's early death. The new edition includes an Introduction by yours truly. For this year, at least. Not only will budget not allow, I'm running out of room. These past eleven months have brought an embarrassment of riches – and at such small cost! 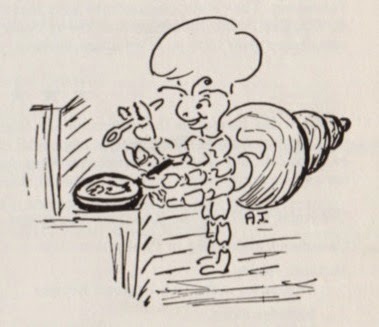 Case in point, G. Herbert Sallans' uncommon Little Man, a book I've wanted for a ferret's age. Sure, the dust jacket isn't in the best condition, but online listings for jacketless copies run to US$1899. I bought my Sallans for three Canadian dollars. This happened back in July. I was taking advantage of a London bookstore's moving sale. 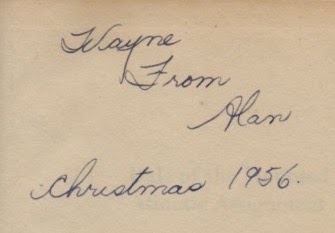 The copy was originally marked at fifteen. 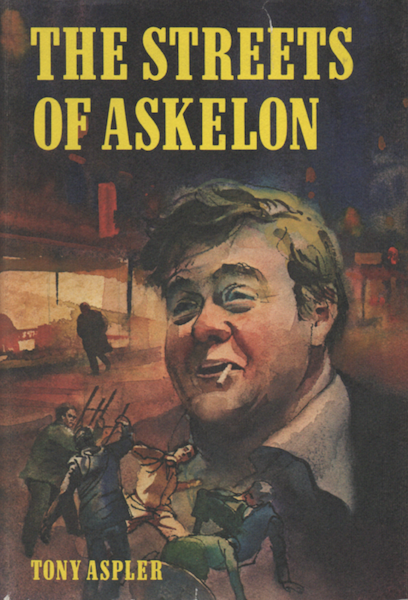 During that same visit, another bookstore yielded a pristine American first of Tony Aspler's The Streets of Askelon, the roman à clef inspired by Brendan Behan's disastrous 1961 visit to Canada. I'd been hunting it for a loon's age. Cost me a buck. A title that will be familiar to regular readers. 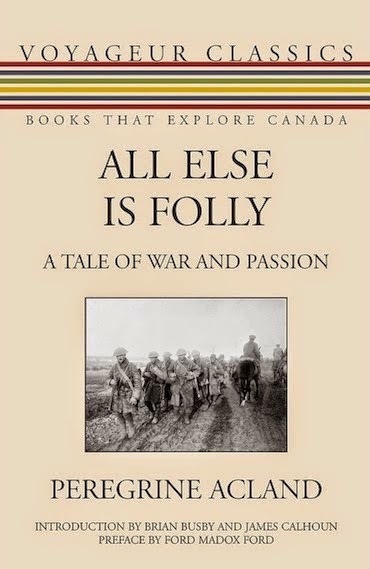 After eight decades, All Else is Folly finally returned to print this year, complete with new Introduction by myself and Great War scholar James Calhoun. 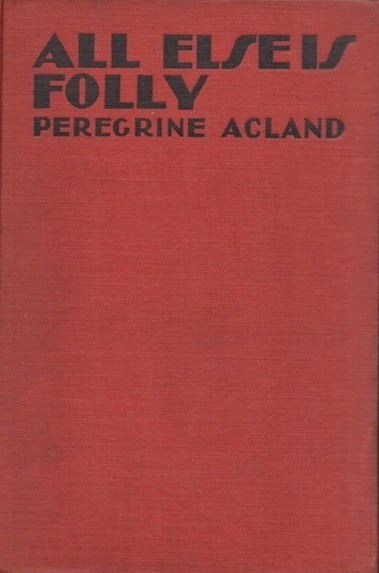 I won this particular copy, inscribed by Acland, in an eBay auction on the very day we completed our work. A political thriller by my favourite Canadian novelist of the Victorian era, I've been saving this one for a snowy weekend. This may not be a first edition, but I'm confident that it's the most attractive. Six plates! Purchased for US$9.95 from an Illinois bookseller. 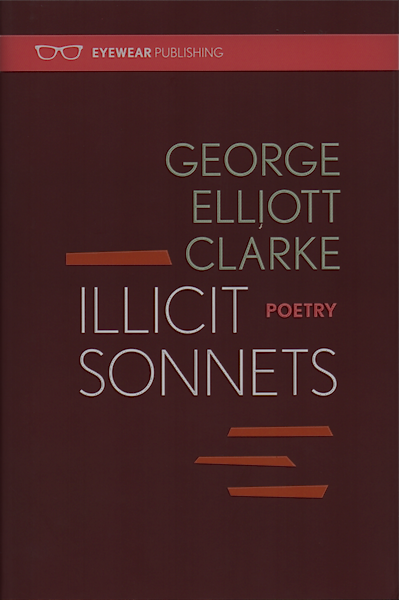 A collection of verse by an old friend, Illicit Sonnets stands out in George's bibliography as the first published in England. At the same time, it's typical of the high quality titles coming from ex-pat Montrealer Todd Swift's Eyewear Publishing. A poet himself, Todd dares publish verse in hardcover… as it should be. You can get pretty much any Connor title for two dollars. My problem is that I never quite remember what I have. 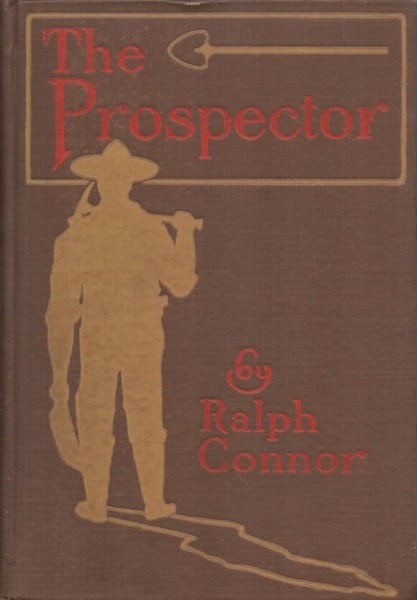 This copy of The Prospector, bought in London for $1.50, turned out to be a duplicate. I thought I'd wasted my money until I noticed that it's inscribed by the author. The subject of a forthcoming column in Canadian Notes & Queries, this roman à clef centres on a character based Arthur Meighen. It was a scandal in its day, and holds up rather well, even though many of its models are forgotten. Found in downtown London on Attic Books' dollar cart. 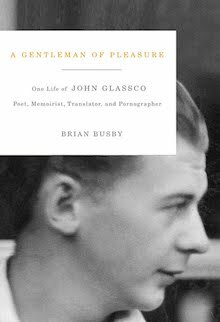 If John Glassco is to be believed – evidence is slight – he took down this novel as Le Gallienne dictated in a semi-stuper. Either way, it's a pretty good story… by which I Glassco's. Le Gallienne's? I'm not so sure. 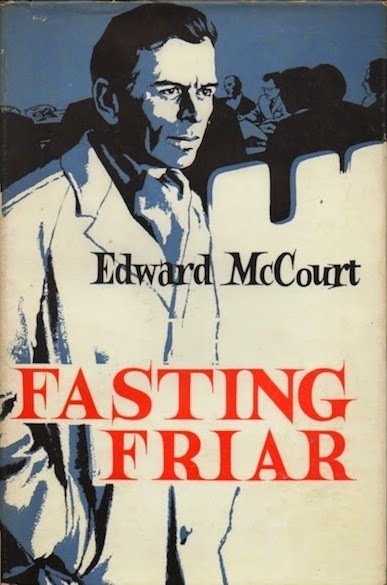 I'd never so much as heard of Fasting Friar, before coming across a pristine copy – $9.50 – at Montreal's Word Bookstore. An engaging novel in which academic life and censorship intertwine, it proved to be one of this year's favourite reads. Still hate the title, though. 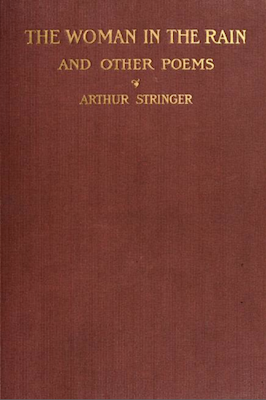 The only title published during Eaton's lifetime, I paid US$100 for this Very Good copy. This would've been back in the spring. Appropriate. Since then a Good copy has shown up for sale online at US$45.85. 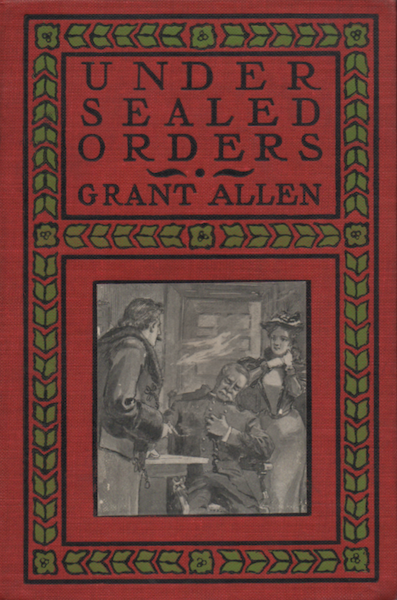 Update: Grant Allen's Under Sealed Orders now read. December. Time has come to admit that we've failed. Eleven months ago, with my friends Chris Kelly and Stanley Whyte, I set out to read each and every book by Richard Rohmer within the calendar year. We're right now on our eighteenth. While that figure may seem impressive, there are still twelve to go. Who'd've thunk he'd written so much? We all knew what we were getting into. I was pretty certain that Rohmer had published something in the area of thirty books. What I didn't anticipate was that they would be so hard to find. A child of the 'sixties, I well remember a time when Rohmer topped bestseller lists. His books were on display at the local WH Smith and could be bought at every drug store in town. I expected – as did Stan and Chris – that used copies would be plentiful and cheap. 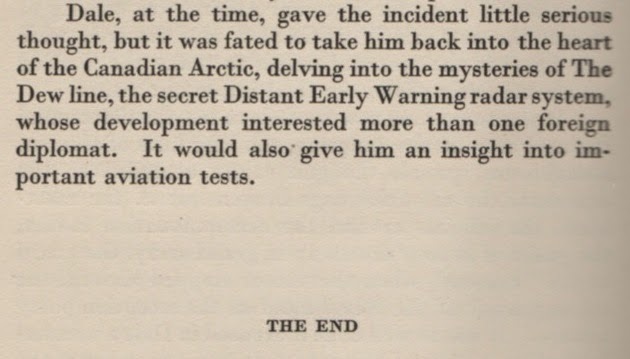 Hell, last December I picked up a copy of Red Arctic for a dollar. What I didn't know is that after his 1973 smash Ultimatum, Rohmer's sales began to decline. The first break in his string of bestsellers came in 1984 with the flop How to Write a Best Seller. There's irony for you. 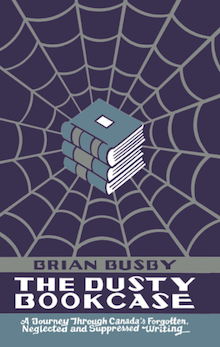 By the end of that decade, he was no longer published in mass market – readers of thrillers will recognize the significance of that fact. Second printings have been rare. The only book that has seen any sort of second life in the past quarter-century is the one we're currently reading: John A. 's Crusade. 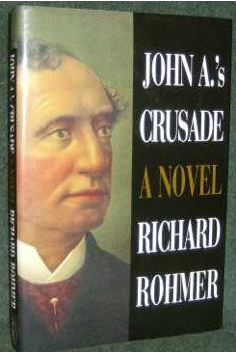 First published in 1995 by Stoddart, two years ago Dundurn reissued the novel as Sir John A. 's Crusade and Seward's Magnificent Folly. 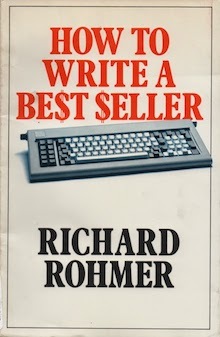 "About the only general suggestion I can make about choosing a title is that it should in some way suggest the plot," says Rohmer in How to Write a Best Seller. John A. 's Crusade did just that. Set during the months leading to Confederation, it sees the future prime minister travelling about Europe – by train, warship and carriage – on a secret mission to purchase Alaska from the Russians. Meanwhile across the pond, William Seward, Andrew Johnson's Secretary of State, is working on the very same goal. If anything, Sir John A. 's Crusade and Seward's Magnificent Folly suggests even more of the plot. 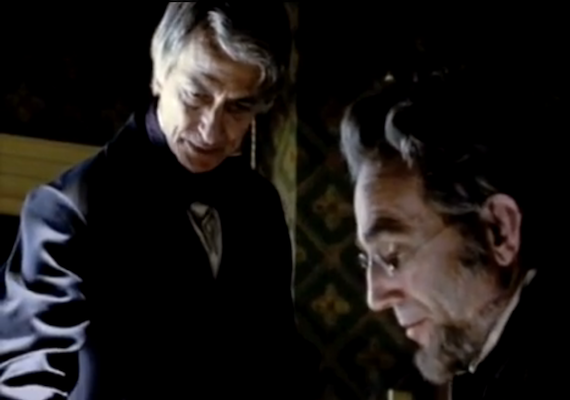 And, as my pal Stan points out, it also provides something of a tie-in to the film Lincoln, in which Seward figures prominently. I wonder whether Sir John A. 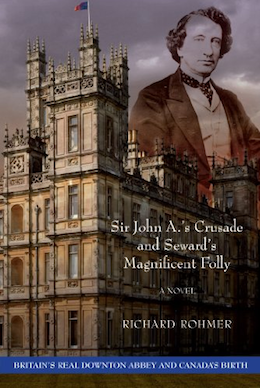 's Crusade, Seward's Magnificent Folly and a Visit to Highclere Castle was ever considered. Too long, I suppose. Highclere Castle features prominently on the cover of the new edition; Sir John A a little less so. Cast your eyes down and you'll find this banner: "BRITAIN'S REAL DOWNTON ABBEY AND CANADA'S BIRTH". In late 1866, John A. Macdonald and other Fathers of Confederation arrived in London to begin discussions with Britain to create Canada. Macdonald and two of his colleagues stayed briefly at Highclere Castle in Hampshire, the stately home of the Fourth Earl of Carnarvon, Britain's colonial secretary. Those are the facts. Today Highclere Castle is widely known as the real-life location for the popular television series Downton Abbey. 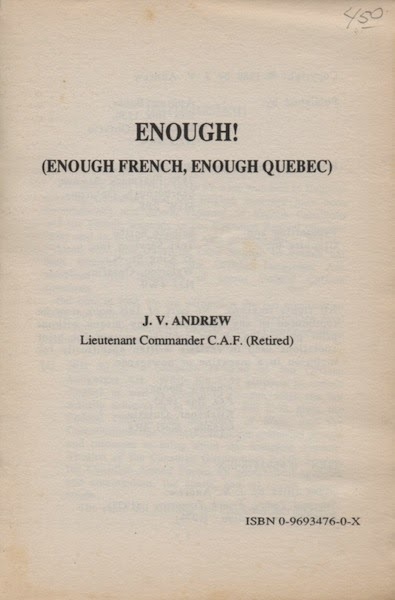 In Richard Rohmer's novel, Macdonald talks with Carnarvon at Highclere about legislation to give Canada autonomy, the danger of Irish Fenian assassination plots, and the proposed American purchase of Alaska from Russia. It is indeed a fact that "Macdonald and two colleagues stayed briefly at Highclere Castle". Those two colleagues were George-Étienne Cartier and Alexander Galt; being an overnight stay theirs was several hours longer than that offered today's paying visitors. So, yeah, "stayed briefly" seems about right. Downton Abbey, as it appears in the magnificent television series is actually Highclere Castle, often known as Carnarvon Castle. It was there that much of the Downton Abbey series was and will be shot. It was also there that the difficult quest for Canada's status as an ultimately self-governing monarchy nation truly began on December 11, 1866, as this piece of historical fiction demonstrates. Never mind the Great Coalition, the Charlottetown Conference, the Quebec Conference and the London Conference, Rohmer has it that an after-dinner conversation over port and cigars marks the true beginning of the country we call Canada. The claim is absurd, and is made truly shameful by the simple fact that this piece of historical fiction demonstrates no such thing. Macdonald and colleagues do nothing more than report on current negotiations… oh, and Fenians! See how much work goes into reading Richard Rohmer? Imagine how much time has been wasted walking across rooms to retrieve books thrown against walls. Still Reading Richard Rohmer. Is Alice Munro?